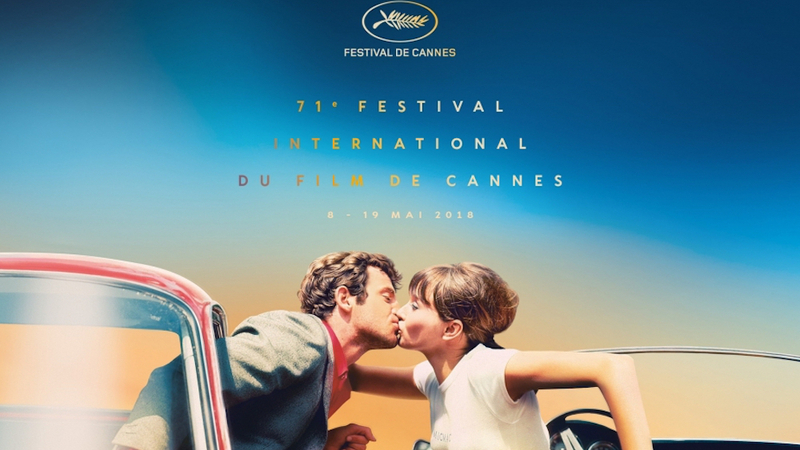 May 14th to 25th 2019, Cannes: ENJOY EXCLUSIVE ACCESS TO THE HOTTEST CEREMONIES, PREMIERES, AND CELEBRITY EVENTS. Always at the forefront of the film world and red carpet access, Sincura are delighted to be directly involved with this years’ festival, the 70th edition of the festival. As such we have an array of tickets and passes to all the official screenings, hospitality tents, cocktail parties and VIP areas. 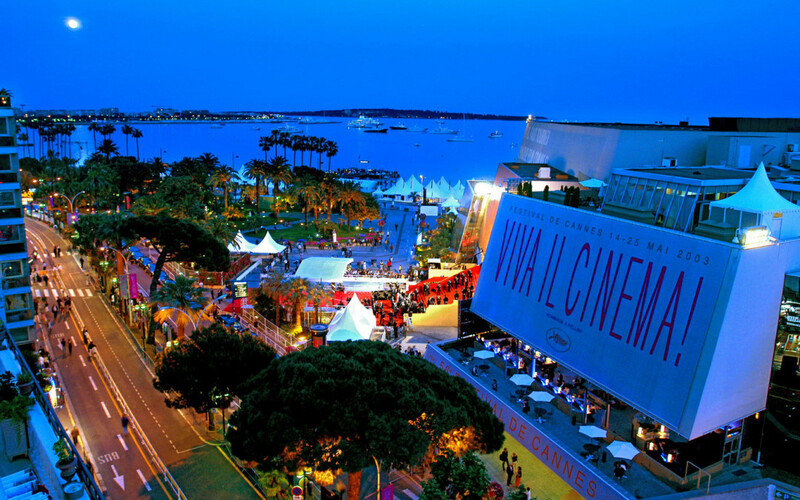 Held each May, The Cannes Film Festival is the main event in the European film calendar. Founded in 1946 it is held annually at the Palais des Festivals et Des Congres. The most prestigious award, the Palme D’Or, is awarded to the best film and was won in 2017 by Ruben Östlund for the Square.. The excellence and internationalization of the selected films, the wealth and diversity of the sections, as well as the scandals, controversies, stars, journalists, and “people”, have contributed to perpetuating the Festivals and attracting the most famous actors, producers, and directors over the years! Experience glitz and glamour, surrounded by a sparkling collection of high-profile guests and A-list celebrities at the iconic Cannes Film Festival in the stunning Cote d’Azur. Glamourous outfits, champagne on tap, Lamborghinis and yachts galore – if you want to mingle with the elite then this is the event. The Cannes Film Festival is THE highlight of the film calendar, the classiest, and most glamourous of them all and you can experience it as a VIP with our hospitality packages. This is a once-in-a-lifetime experience that you’ll never forget. All prices are per person, subject to availability and change. A minimum of 2 tickets apply for bookings. No VAT is applicable to tickets for Cannes. Tickets include a local host for the duration of your stay, car pick up in Cannes and Red Carpet drop off at the Palais de Festival. Full itineraries, as well as after-party venues (usually within walking distance from the Palais de Festival), to be confirmed. Rocketman is set to premiere at the Cannes Film Festival on 16 May 2019 and Elton John is confirmed as attending, and scheduled to be released in the United Kingdom on 24 May 2019 and in the United States on 31 May 2019 by Paramount Pictures. Please note that balcony seating does not include the red carpet entry, you will need Corbelled or Orchestra for the red carpet. The prices include the limousine to drive you to the red carpet for the day, and a concierge service whilst in Cannes. Tickets are released at around lunchtime on the day of the premiere and our team of runners run the tickets out to our clients attending. Groups of 10+ people will receive a 3% discount. The 2019 schedule is yet to be announced, it is usually announced 2 weeks prior to the festival. Once announced we contact all guests who have bought packages and allow them to choose the film of their choice. Please click below for the 2017 schedule as an example. In other news, there will be no Netflix films at Cannes for second year running, reports suggest. This means that Martin Scorsese’s The Irishman and The Laundromat, starring Meryl Streep, is among the big names unlikely to appear. The loss of Netflix titles was perceived by many to be a heavy blow for last year’s Cannes film festival. After artistic director Thierry Frémaux ruled that titles from the streaming giant were ineligible to compete for the Palme d’Or, Netflix head Ted Sarandos duly pulled their full roster from the Croisette.. Films such as Roma, The Ballad of Buster Scruggs and many more duly played at rival festivals, before progressing to considerable acclaim. With less than two months before the red carpet is unrolled this year, talks are apparently still ongoing between the two parties – but the urgency is now felt to be less, as reports suggest that no Netflix films will now screen at Cannes, either in or out of competition. The Cannes experience reaches far beyond the films. When the day’s screenings come to a close, the rest of the city comes alive, and the high-fliers of the world sure know how to let their hair down. We hold unique relationships with the celebrity and film world, plus the party organisers, to guarantee access to the most exclusive events happening in Cannes. Hosted by Penelope Cruz and just 40 people attending. Luxury jewellery brand throws annual bash at Cannes. Last Year Chopard held a magical soirée. Guests boarded the legendary Savarona yacht set amidst the Mediterranean Ocean, overlooking the iconic Côte d’Azur. The evening was full of surprises including a High Jewellery fashion show with dancers. Founded in 1860 in Sonvilier (Switzerland) by Louis-Ulysse Chopard, Chopard stands for innovation, quality craftsmanship and authenticity. Enrique Inglesias performing. The grand Hotel du Cap-Eden-Roc in Antibes, which stars like to call their “home” during the Cannes film festival, plays host to a particularly glitzy crowd for the Vanity Fair party. Kate Hudson, Russell Crowe, Leonardo DiCaprio, Sir Mick Jagger, Joel Edgerton, Tobey Maguire, Chloë Sevigny, Peter Dundas, Heidi Klum and Vito Schnabel were among those joining Vanity Fair editor Graydon Carter and Chopard’s copresident Caroline Scheufele in celebration in 2016. Created in 2001 at the initiative of Caroline Scheufele, a passionate film enthusiast, the Trophée Chopard annually rewards two youthful talents from the world of cinema. This year, the Trophée Chopard Committee chose to distinguish Australian actress Elizabeth Debicki and British actor Joe Alwyn. At a ceremony held in the Martinez Hotel and presented by Thierry Frémaux, General Delegate of the Cannes Film Festival, the two laureates were handed their awards by Diane Kruger, the distinguished patroness of the Trophée Chopard 2018. She herself won this prize in 2003 and was honoured with the Best Actress award at last year’s Cannes Film Festival. For the past two decades, amfAR’s annual Cinema Against AIDS benefits have been the hottest ticket in town during the Cannes International Film Festival. Cinema Against AIDS, held each year since 1993 during the Cannes Film Festival, is a world-renowned charitable fundraiser and arguably the most coveted ticket of the film festival. The black-tie event is known and celebrated for its glittering guest list, its unpredictable live auction, and its unrivalled success in generating funds for amfAR’s lifesaving AIDS research programs. Since 1993 Cinema Against AIDS events around the world have raised more than $80 million. Cinema Against AIDS Cannes is invariably punctuated by unscripted, unforgettable moments. One year it’s George Clooney bestowing a kiss on a lucky auction bidder or Sharon Stone dancing along to an impromptu performance by Sir Elton John and Ringo Starr. The next, it’s Mary J. Blige bringing the crowd to its feet during a moving rendition of U2’s anthem “One” or Janet Jackson paying a heartfelt tribute to amfAR’s co-founder the late Dame Elizabeth Taylor. Len Blatvanik's Yacht (Warner music). Surprise live performance. Taking place at Hangar 16, Airport Mondelieu, this will see a huge production including fashion show cocktail reception, live fashion show produced by major fashion houses including Versace, musical performance, gala dinner, art and fashion auction and after party. Every year, the Swiss brand throws a party mid film festival at the exclusive Hotel du Cap Eden Roc. Amongst all the high-octane glamour of Cannes, it’s always a highlight. Last year was no exception – in one corner stood Leonardo di Caprio, supping champagne, surrounded by his customary clique of beautiful ladies, in the other Sharon Stone showing the youngsters how to go about dressing for a party in a backless red dress, split to the thigh. Orchestrating all the fun – and a de GRISOGONO bash is all about the fun – was Fawaz Gruosi, founder of de GRISOGONO and party-thrower extraordinaire. As well as the main 3 parties, we also have access to a number of industry parties. These are announced 2 weeks prior to the event. All packages would come with a local concierge throughout who would introduce themselves when your guests arrive and be on call 24/7 for your guests. Also car transfer in and out of all premieres. Sincura have relationships and preferential rates at some of the leading hotels in Cannes and Nice. Once you have booked your tickets our concierge team will work with you to put together your full itinerary including hotels and transfers. There are 3 hotels that we suggest - there is a 4 night minimum for all the hotels. Sincura have access to the most exclusive private villas is Cannes available for our members and guests during the festival. Please click below to see a small selection of our favourite villas. 1) 2019 marks the 15th year that our team has been in Cannes and we have been an integral part of the festival facilitating the experience of hundreds of esteemed guests. No other company has the experience, access or contacts we have – as an example we are the only concierge allowed to drive our cars onto the red carpet. Our team look after the actors and stars attending the festival: if it happening we know about it – and furthermore we have access to it. 2) The Sincura Group has a long history with the film world; we sponsor films, represent the stars and are at the forefront of red carpet access from London, New York and internationally. We are the primary market for sourcing tickets and many other agents purchase and rebrand our tickets as their own. 3) Cannes is a high profile event and as such attracts a fraudulent market. Each year we receive last-minute bookings from clients who have been let down from other suppliers. We offer peace of mind; from start to finish you will be assigned an account manager to manage your experience; and payments are made via invoice / credit card booking giving you extra protection when making bookings. 4) The Sincura Group is a name you can trust. We supply tickets and VIP experiences for some of the largest names in the industry and were the chosen VIP partner for the London 2012 Olympics. We are heavily regulated, are official partners of leading venues and events, and are currently voted London’s Concierge Company of The Year. 5) Upon completing your booking you will send your Cannes pack and will be introduced to your local account manager. Your local manager will meet you on arrival in Cannes and is on hand 24/7 during your stay for all your requests. Furthermore you have a full support network with our offices in the UK and internationally for planning your experience. No other company offers this level of service. Included in the price of the ticket is your own Sincura Event Manager, a member of our award winning concierge service. They will contact you to discuss your itinerary for the event, any special requirements you may have from wheelchair access to dietary requirements, and to answer your questions. They are also available to help you arrange your own itinerary from travel, hotels and restaurants to stylists to ensure you look your best. You will be given their personal details including their mobile number for any emergencies you may have. They will also follow up after the event to ensure it went well and you will be added to our latest news and offers, including the uber-exclusive monthly members' bible. to keep abreast of everything happening in your city. Are you looking for innovative and new hospitality ideas that your clients will talk about for years to come? Rather than the standard cricket, rugby, and football packages why not bring your guests to a film premiere, enjoy backstage passes at Glastonbury Festival, London Fashion Week, or a private table at the BRIT Awards. How about a masterclass with a Michelin starred chef, become lords of the manor for the weekend, or race cars with the Stig. The Sincura Tickets team have two mission statements; to be able to source any ticket for any event and to beat the market prices. We have exceeded these expectations and now supply tickets to over 180 hotel concierges, credit card companies, and private and corporate clients both in the UK and Worldwide. We are the primary market and provide tickets to other agencies. Our hand selected team has over 50 years’ experience in the industry. We are officially appointed to represent the leading venues, teams and events which include being selected as the VIP ticket partner for the London Olympics 2012 and the Rugby World Cup 2015. Though we do sell tickets to the public, our tickets membership offer you many benefits and are aimed for those members that want access to the most exclusive tickets and to attend the leading events. Benefits include access to VIP-only tickets, your own dedicated Tickets Concierge Manager for sourcing tickets at trade prices, latest news and offers before the public. Plus you will receive a special events diary at the start of each month with over 300 of the most exclusive events in your city - from fashion and restaurant launches to music and sport. You can enjoy free tickets throughout the year from Chelsea Flower Show to our film club with invitations to private screening evenings and tickets to film premieres and galas.. If the events are your thing then you can join our VIP package with complimentary invitations to our exclusive member events including London Fashion Week and Henley Royal Regatta. All members are also invited to join us as our guests in our private box at Wembley for events including football, american sports, boxing, and music. We also have packages for corporate clients and full concierge clients. Learn more about our packages and join by clicking below. The Sincura Group support Hope and Homes for Children as our chosen charity. Every child wants a safe, loving family to grow up in. But over 8 million children, confined to orphanages and other forms of institutional care around the world, are being denied this with often catastrophic effects. Orphanages do not protect children. They harm them. Children in orphanages are often subject to high levels of abuse and neglect. Without family to care for them, or friends to play alongside they live in a world without love. The impact of this can last a lifetime. Some don’t survive at all. Orphanages deny children their voice, giving them no say or control over the decisions that affect them. Over 80% of the children confined to orphanages today are not orphans. They have at least one living parent or relative. With the right support, we can give children what they want and need most - a stable, loving family. By buying tickets through us you further support this charity.